This Sussex village where Joan Aiken lived from the age of five was to inspire the Armitage Family stories that she returned to over and over again throughout her life, and which are now published in a collection called The Serial Garden. When Joan Aiken was five, her parents divorced and her Canadian mother married English writer Martin Armstrong, and took the family to live in his beautiful ancient cottage in a small village under the grassy Sussex Downs. The village was remote,and in the 1920’s few people had cars of their own, so Joan’s brother and sister, seven and twelve years older, were sent away to school, and Joan was taught at home by her mother, a graduate from Radcliffe college in Boston. These were just some of the memories that formed the background to The Armitage Family Stories that she would go on to write throughout her life – stories that re-imagined for example the many elderly widows in the village, whose husbands had died in World War I, as mysterious ‘Old Fairy Ladies’ to be treated with respect… In her recreation of those early years, she transformed many of the village customs she remembered into her own myths, creating her own magical village. 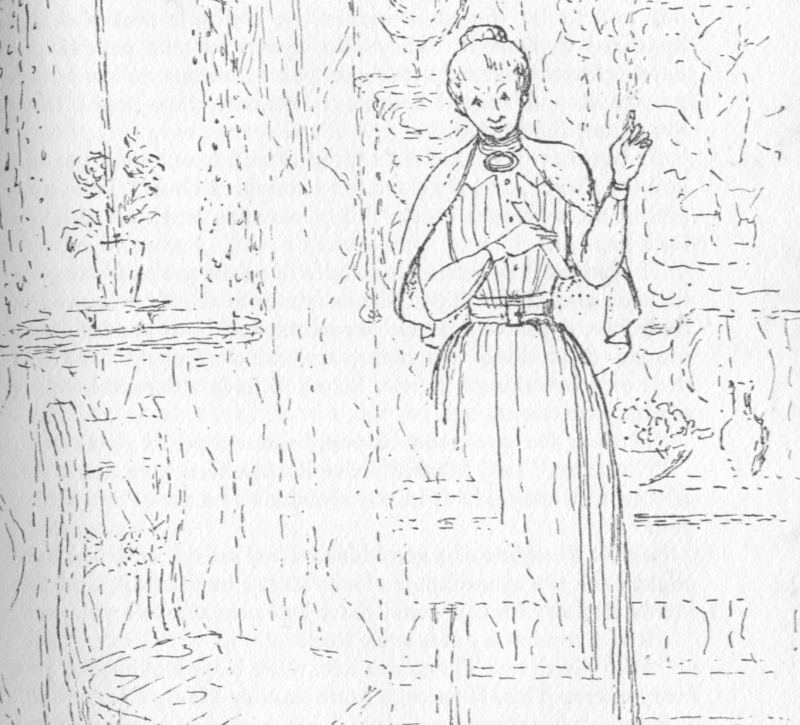 In her stories, the Armitage children, Mark and Harriet may also have regarded some of these customs with scorn, and taken them with a pinch of salt, but for Joan Aiken as a small girl they were an inspiration. On the left of the photograph above is a figure in a long coat, standing on the bank watching the procession go by. 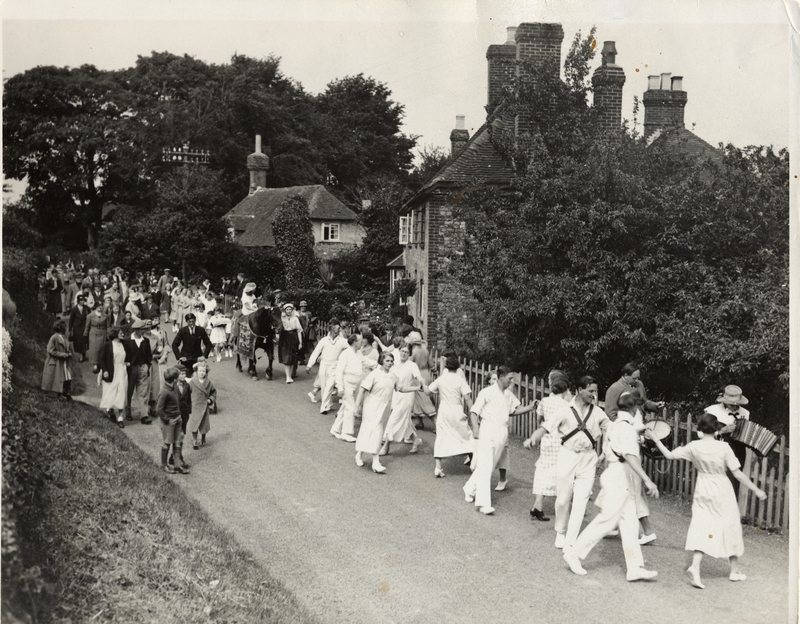 Many years later at a sale of old photographs from the archives of George Garland, photographer to all the local newspapers from the 1920’s onwards, Joan Aiken came across this picture, and recognised herself as the small red-headed girl who so longed to be part of it all. Her first published book was a collection of stories for children that included ‘The Ghostly Governess’ pictured above, who terrorised the children of the house – but in this case only by making them do homework all night, as they struggle to recite lessons from invisible text books. They finally get rid of her by locating the naughty child from over sixty years previously who had never been able to learn his lesson; now he is an ageing retired admiral, but by teaching him the dates of Queen Anne and finally putting her mind at rest, they allow his poor governess to retire happy, and the exhausted children can finally sleep in peace. Born in a house in Rye that was reputedly haunted by the seventeenth century astrologer and philosopher Samuel Jeake, she often said that she was disappointed never to have seen any ghostly apparition herself, but she certainly relished writing about them, whether in stories for children or adults.